Starting school is a milestone, not only for your child but also for you. You may be excited or perhaps a little concerned about your child taking these first steps towards independence. At Parley First School, we aim to build a good relationship between home and school so that everybody involved can ensure your child gets the very best out of their school experience. Please do not hesitate to contact the school office should you require any further information or use the New Starter Contact Form below to send a message directly to the Reception team. During June each year an evening is arranged for parents to meet the Early Years teachers, Headteacher and members of POPS and the Governing Body. The evening is intended for parents/guardians only. At this meeting we will be sharing information about what your child will need to start school, as well as gathering information from parents to ensure as smooth a transition as possible for our youngest pupils. Please bring your diaries to this meeting as you will be asked to sign your child up for one of our transition afternoons. Our school uniform provider (QDOS) will be available from 6.00 - 7.00pm. Pre-school liaison takes place during the summer term, with our Reception staff visiting or telephoning all our feeder settings. On these afternoons 20 new starters are invited to share a wide variety of activities in the classroom becoming familiar with their new surroundings and staff. Sign-up sheet for these will be available at the meeting on 6th June. The children do not need to bring anything with them and do not need to wear school uniform. Welcome afternoon for all new Reception children. Our school uniform provider QDOS will be in school for this afternoon. Letters will be sent out to say which class your child will be in, who their teacher will be and when your home visit will take place. Come and meet the parents whose children will be learning with yours in September. Tea and biscuits will be served, and maybe even some homemade cake! This transfer morning occurs across the whole school when all of our children move to spend time in their new classes. Essentially it is a time for the children and staff to get to know each other. Children will also become more familiar with the environment. The children will need to bring with them a named bottle of water and a named fruit/vegetable snack. The children do not need to wear school uniform to this session. Please bring your children to the wooden gate located to the left of the main entrance. You will also collect them from this location. Our school uniform provider QDOS will be in school from 11.00am. This will be a chance for you and your child to meet school staff in familiar surroundings. Parley First School carries out a staggered entry into the Reception classes, where 10 children in each class will attend on each of the 3 sessions. You will receive details of which session will be applicable to your child when you are informed about which class your child will be in. 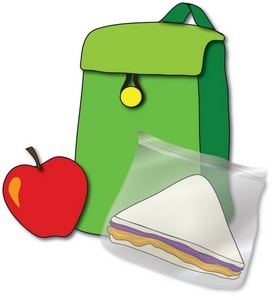 Your child will need to wear their uniform and bring with them a named bottle of water and a named fruit/vegetable snack. They will also need their PE Kit, their wellies and their bookbag. The PE kit and wellies will remain at school. ALL children will attend school all day from this date. For all those things you hear but are not quite sure what they are! We are really looking forward to meeting your children and we are sure that they will enjoy their time here. You will have received a number of essential forms in your welcome pack. Below are links to these forms, should you require more copies or your details change. Please ensure any shoes/trainers have velcro fastenings. Girls should have a spare pair of socks in their PE bag especially if they wear tights. Please DO NOT provide your child with a rucksack. There is insufficient room in our cloakroom. Please ensure that your child's water bottle is leakproof and that it contains water only. If your child is to be collected by someone other than yourself, please write a note and put it inside your child's bookbag, as these are checked daily. Mid-morning snack should be a small piece of fruit or vegetable only as we are a Healthy School. Please DO NOT send your child into school with any toys/teddies. If your child is going to have Hot School Lunch, please practise using a knife and a fork with them. POPS is Parley First School's Parent and Teacher Association. All parents, staff and the Governing Body are members. POPS supports the school in a variety of ways. To find out more, visit our POPS Page.